Java newsreader for RSS feeds. Is there a better alternative to RSSOwl? Is RSSOwl really the best app in Newsreaders category? Will RSSOwl work good on macOS 10.13.4? Note: 3.7 is the version number reported in Finder; it is a reflection of the app's Eclipse runtime version. The developer refers to this version of the app as 2.2.1. You will now find quick access to common actions like archiving or labeling right below the article content. Some broken keyword feeds have been fixed and new ones added. RSSOwl is a GUI desktop client (using SWT as fast graphic libary) that reads the RSS format from a URL or a local file. 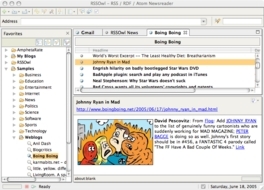 It is divided into 4 areas: RSS Management includes quickview of an RSS feed, adding new RSS favorites to a category, adding new categories, deleting an RSS feed or a category, and full text searching with result highlights. RSS Favorites shows all the saved favorites in the different categories in a tree. 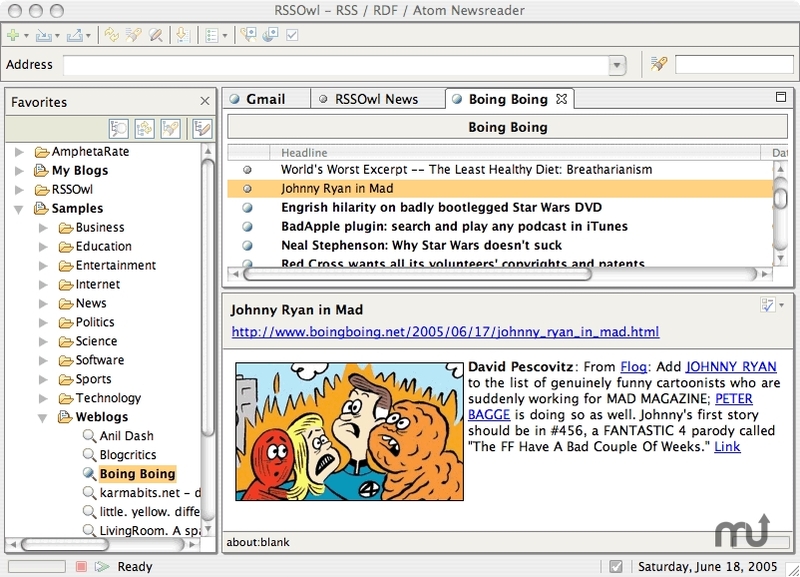 RSS TabFolder displays the title and description of the RSS feed plus a list of the newsheaders from the feed; it opens a new tab whenever a new RSS feed is opened. RSS NewsItem displays the selected news from the list of newsheaders from the TabFolder; the link to the news can be clicked to open it in the browser. The supported languages are German and English.